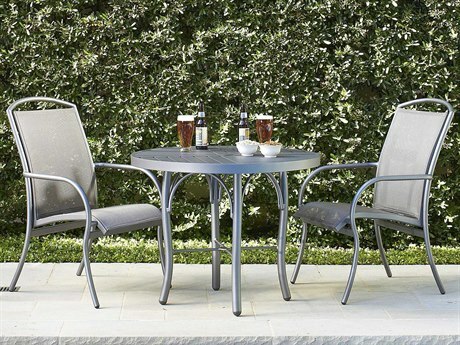 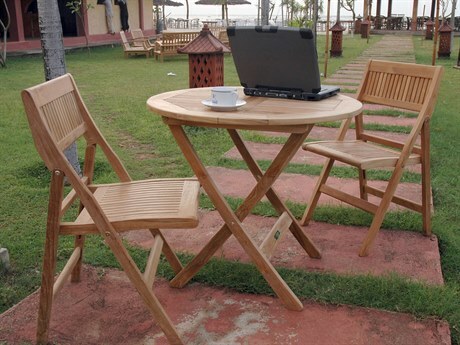 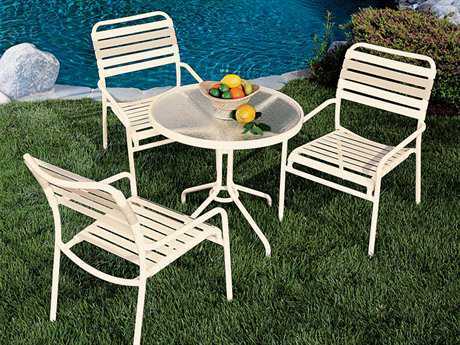 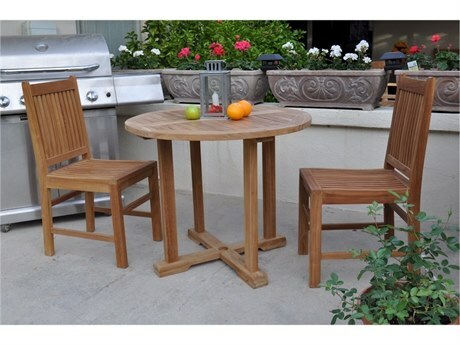 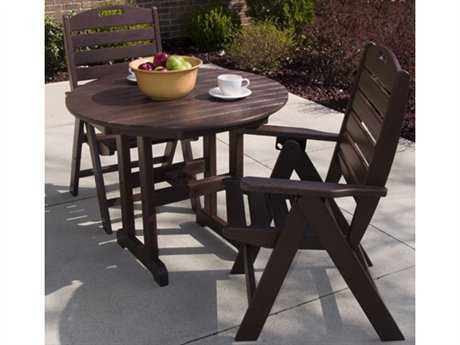 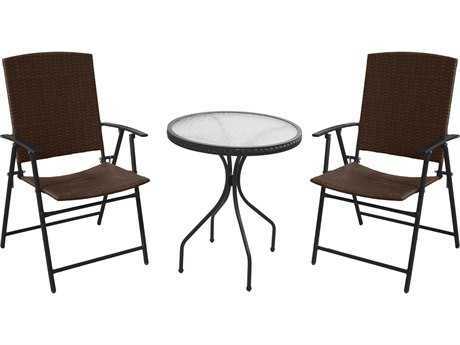 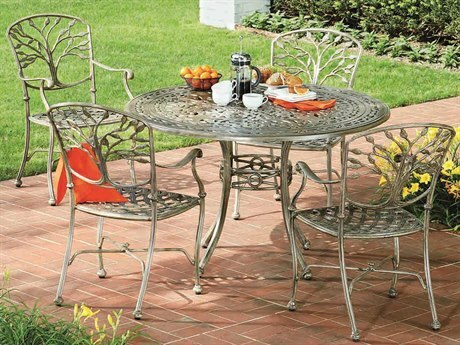 Outdoor bistro sets transform a patio into a quaint dining hangout. 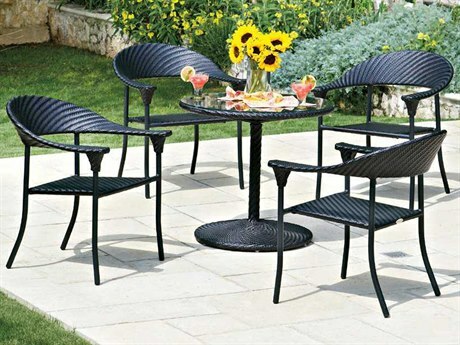 Residential quality sets seat between two and four people, and commercial sets can seat up to eight people per set. 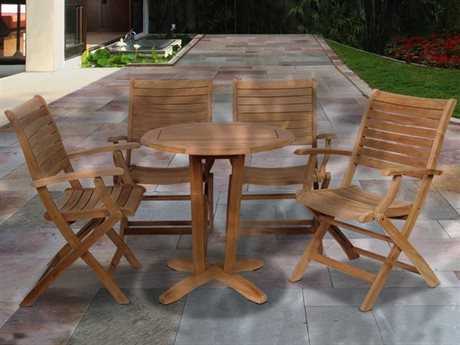 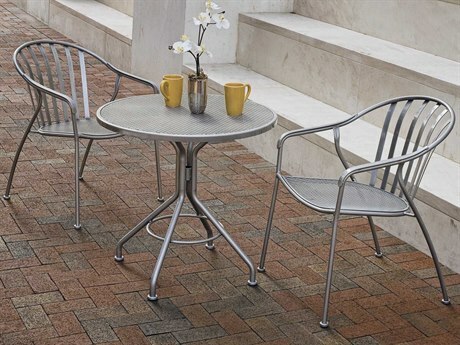 Bistro tables are often small and round, creating an intimate dining experience, but square tables are also available to fit your patio layout. 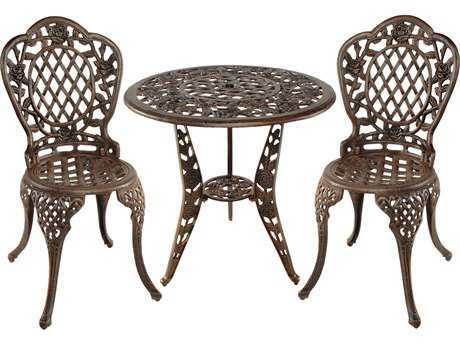 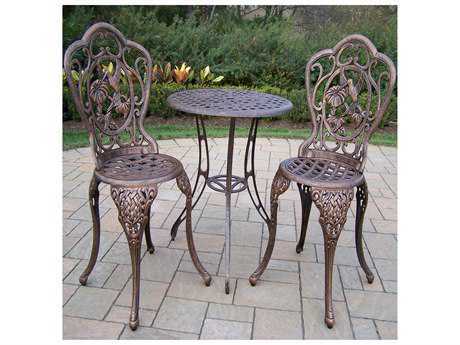 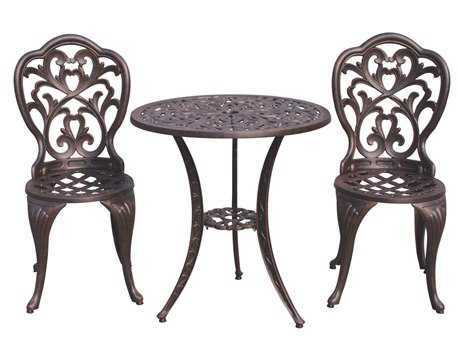 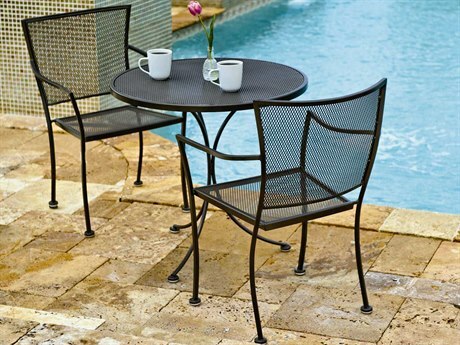 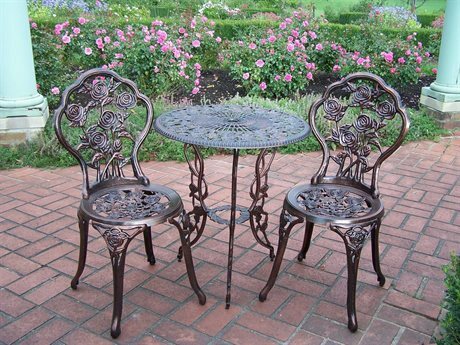 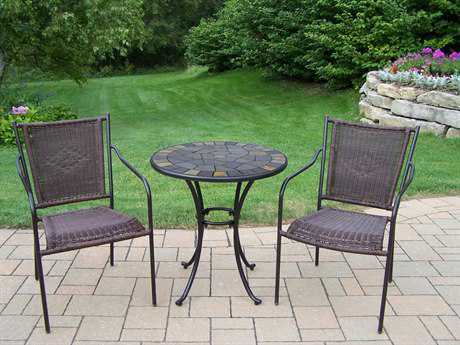 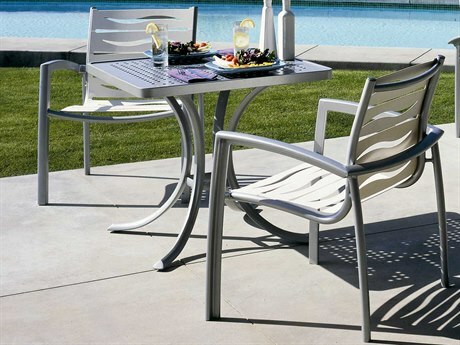 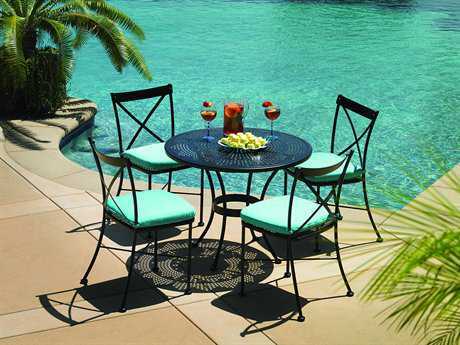 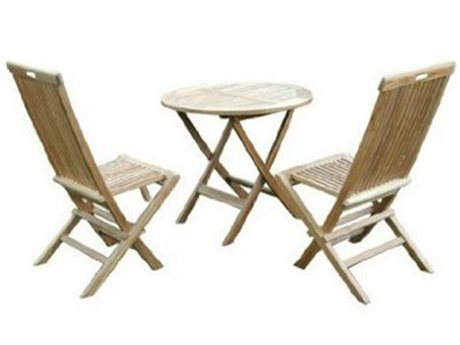 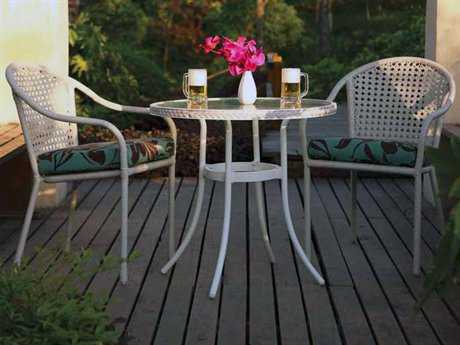 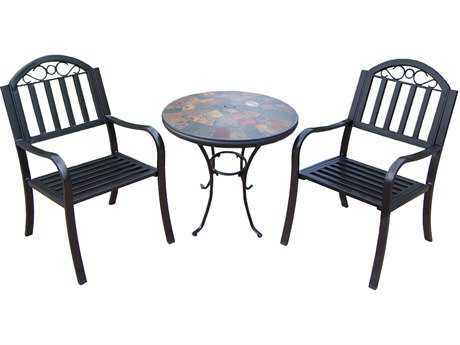 Outdoor bistro sets are made from a wide selection of materials including aluminum, wicker, wrought iron, steel, teak, and recycled plastic that allows for an array of unique finishes and colors such as lime green and mosaic-style designs. 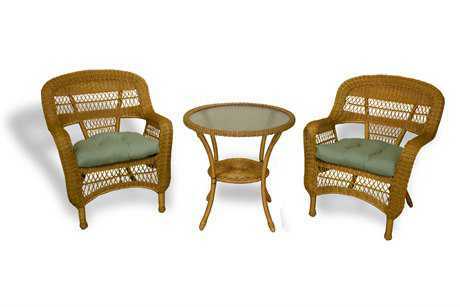 Customization options go further with various types of seating, from sling and cushion chairs to deep seated wicker or simple metal armless chairs. 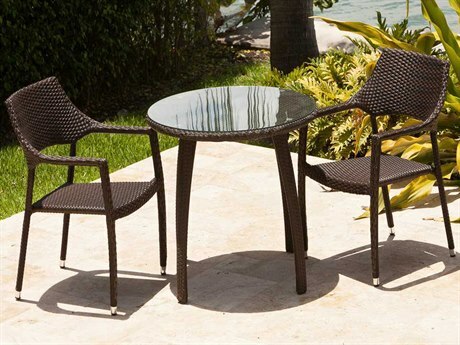 Outdoor bistro sets are a great addition to a patio as they provide a designated area for casual dining that isn’t as large or space consuming as a full dining set. 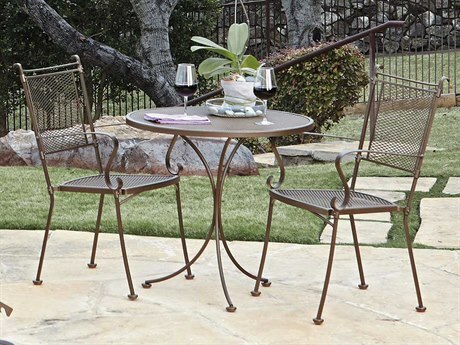 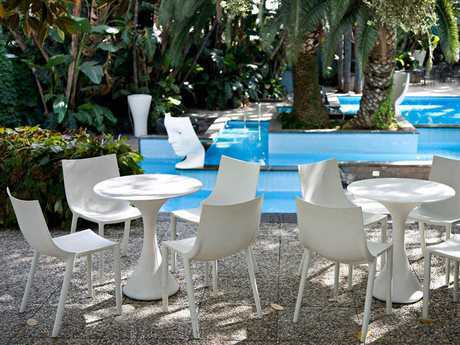 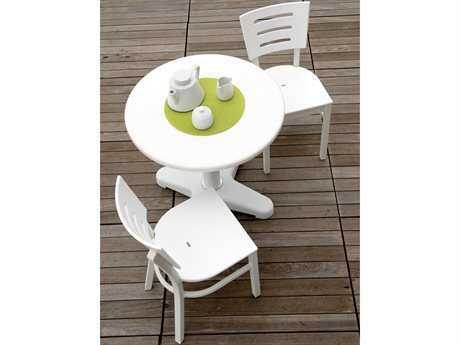 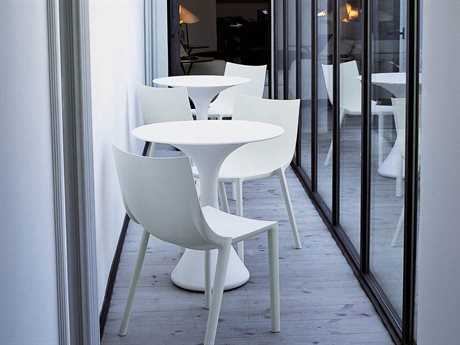 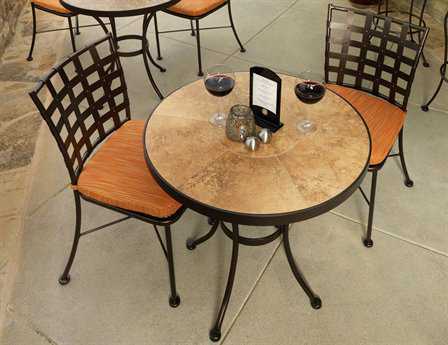 Because of their smaller, more intimate design, bistro sets fit in corners that are otherwise left alone for lack of adequate use for the area. 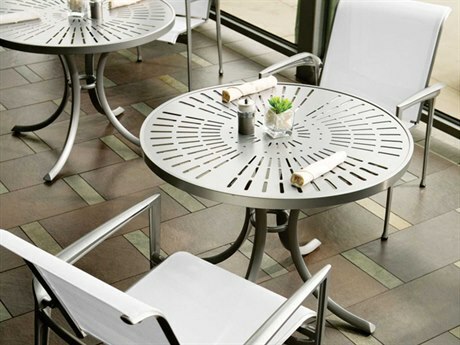 Balconies would benefit most from them because of their design and functionality in tight spaces. 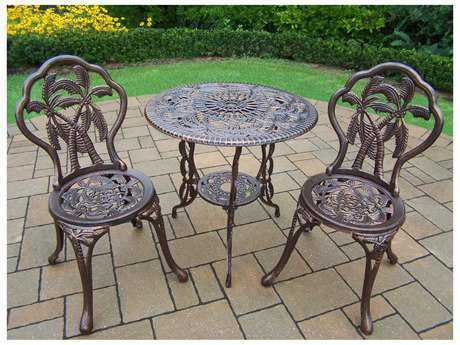 The materials used to make outdoor bistro sets make them versatile pieces, able to be placed beside a pool or on a sandy beach, and even in sunny areas without worrying about them fading or rusting. 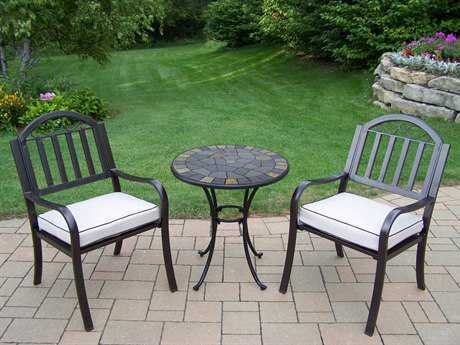 For seats with cushions, they can be removed to easily clean them or change the color scheme in a snap. 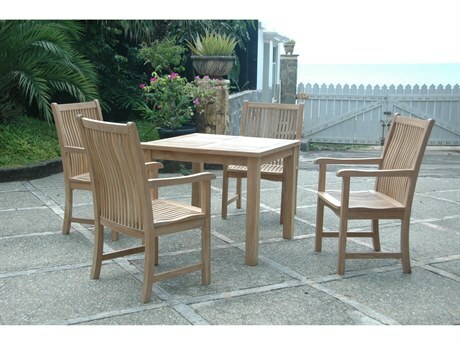 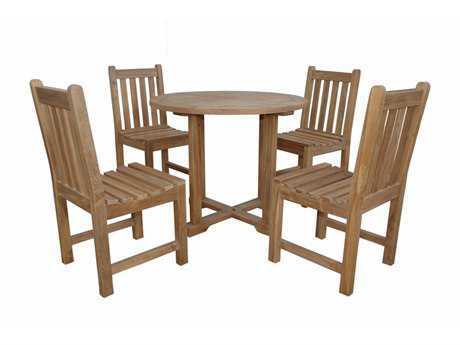 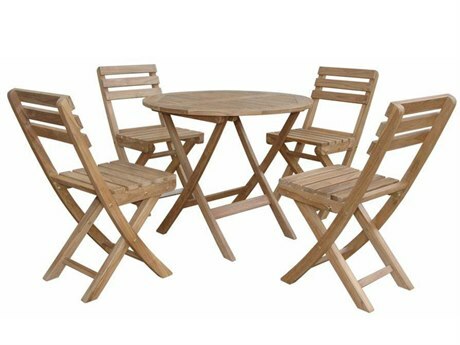 Our selection of outdoor bistro sets are available in both residential and commercial quality that can seat as few as just one and up to eight people, four to a table. 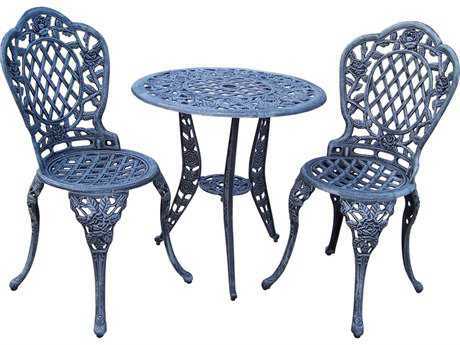 The tables are made from your choice of aluminum, cast aluminum, wicker, wrought iron, steel, teak, wood, recycled plastic, or resin. 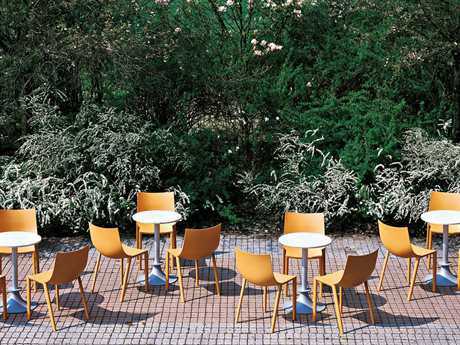 Chairs are made to match, but have further options including seat types, which are sling, cushion, strap, and swivel chairs. 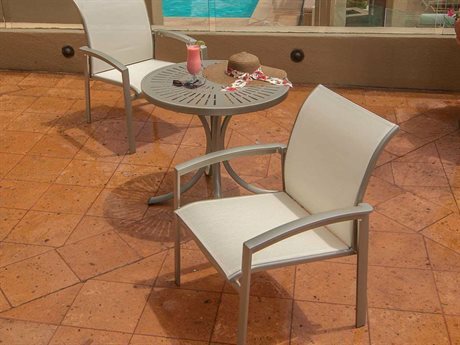 Some chairs are combinations, such as swivel chairs with cushions, to ensure you’ll find exactly what you want for your patio. 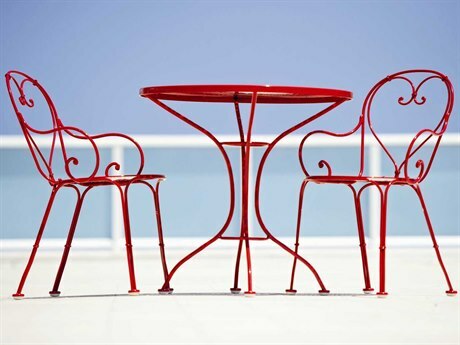 The nature of many of the materials, wrought iron and recycled plastic for example, allows for unique color choices that maintain their vibrancy, so your bright cherry red outdoor bistro set will catch everyone’s eye for years to come. 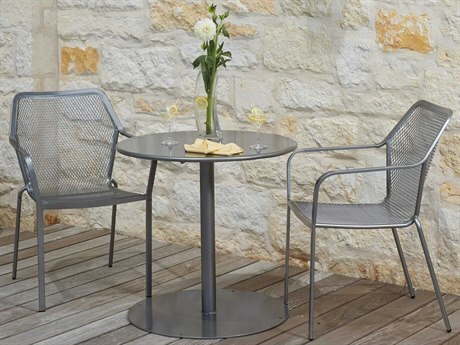 For a sunny patio area, adding a freestanding umbrella to hang over your dining area will create optimum comfort all day. 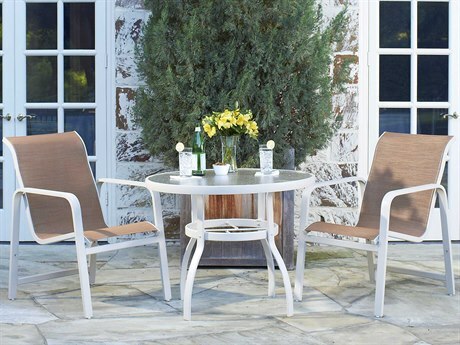 Elegant wall lamps or ceiling chandeliers will effortlessly carry your patio from a casual hangout to an intimate night time dining experience.